Drivers know that when you go with a Volkswagen, you’re getting a car that combines power, luxury, and an assortment of impressive safety features. And when you combine this powerful vehicle with some of the great VW accessories available, you end up with a singular driving experience you won’t be able to get enough of. At Toms River Volkswagen, we provide you with all the VW accessories you need to maximize your driving experience. From communication accessories to comfort and protection, we’ve got you covered. 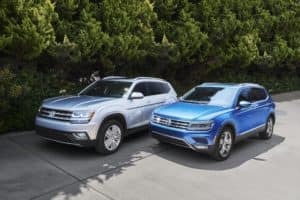 Read on to learn about some of the Volkswagen accessories that drivers from Toms River, Brick, and Freehold can’t get enough of! Contact us today for more information. You’ll love the VW accessories that provide care and protection for your vehicle, so it always looks its best no matter where your journey takes you. For added security on the road, we recommend Park Distance Control. 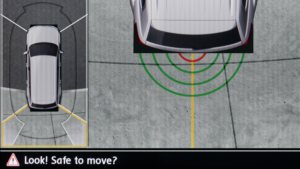 This feature comes with four sensors and an acoustic warning function to alert you if you come too close to another vehicle while trying to park. This helps you stay safe—and keeps your car in excellent condition—even when you’re squeezing into the smallest of spots. Staying connected is a breeze with VW accessories. Specifically designed for the Volkswagen of your choice, you’ll be able to reach out and talk even when you’re on the road. The Bluetooth® integration system is a great way to stay in touch. The hands-free system means you can keep your eyes on the road even when catching up with old friends or making plans for the weekend. You can even use the feature to stream your favorite songs, so you always have the perfect playlist handy for your next road trip. Volkswagen is known for its excellent design and stylish flair, and their Sport & Design VW accessories help you customize the look of your car to make it something truly unique. We’re particularly big fans of the Volkswagen Body Kit. This provides you with direct-fit trim pieces that will turn heads whenever you hit the road. You can personalize and customize the look of your car for a distinct style that’s entirely your own. You can also take a look at the incredibly stylish and fun rear lip spoiler options. This elegant addition to your vehicle can be quickly and easily matched to the color of your vehicle and then fitted to your car for a look that is striking, stylish, and one-of-a-kind. With so many amazing VW accessories, the only challenge will be choosing the ones that are best for your needs and lifestyle! Head on over to Toms River Volkswagen today to check out how we can outfit your car to maximize your driving experience. From safety to style, Volkswagen has got you covered with a whole host of fun accessories. Whether you’re exploring Toms River, Brick, or Freehold, you’re going to love the amazing service our friendly and helpful staff can offer. Stop by today and get ready to be impressed by what we have in store for you.